Regardless of your language of choice, the APIs that Aerospike present should seem natural and obvious. You should not have to jump through unnatural hoops to make things work in your language of choice. Your mission is building awesome applications, not deciphering obscure syntax for doing simple operations. Accordingly, let’s keep things simple for you. Languages change, and the frameworks around those languages continuously evolve. You don’t want your Database vendor pinning you to outdated frameworks or language versions. You trust Aerospike to build, maintain and evolve our platform. We must keep you in the loop, not just about the changes themselves, but also about our motive in making them. We must listen to your feedback and act on it. Encapsulate the dependencies for the process you want to run, e.g., the packages required, the frameworks that need to be present, your code, etc. Provide isolation at runtime, enabling containers each with different dependencies, O/S kernel versions, etc. to coexist on the same physical host. Application architectures are also evolving, especially with the adoption of microserver-like architectures. Your application is no longer one humongous, static binary or set of packages; it’s starting to look like a series of discrete services that are brought together dynamically at runtime. This is a natural fit for Containers. But how does this fit with services that require persistence or require long running processes? To download all current major versions, please go to Docker Hub. For more information, please see our documentation and blog post. With the Aerospike Server v3.7 release, we announced Geospatial as an experimental feature. In v3.7, Aerospike could store GeoJSON objects and execute various queries, allowing an application to track rapidly changing Geospatial objects or simply ask the question, “what’s near me?”. Internally, we use Google’s S2 Geometry Library and Geohashing to encode and index these points and regions. We are happy to announce that in v3.8, Geospatial is now GA (Generally Available) and ready for production use. For more information, please see the documentation and blog post with an example application. The Aerospike C/C++ v4.0 client is the latest client to support asynchronous programming. In doing so, it joins the Java and C# clients. Going forward, we will extend the client’s functionality to support Lua aggregations. For more information, please see the documentation and blog post with an example application. We have a blog post that dives into each of these topics; it should help you understand how and when to use the new features, as well as the impact to your existing code. Some of these modifications (for instance, error-first callback semantics) are breaking changes (i.e., not backward compatible), so it’s critical you review them before you upgrade. It’s not something we like to do, but after feedback from the community — a key requirement from the manifesto — we felt that making the changes was important in order to create a more natural interface for Node.js developers. For more information, please read our documentation and blog post. returns the second record inserted, since it has at least one value of 11 in the nums list. For more information, please see the documentation for Lists, Maps & Geospatial. * PHP and Node.js clients have Map & List index support. Geospatial list indexes will be added shortly. We have released caching and session store plugins for the Play Framework. Thanks to these plugins, you’ll be able to use the Aerospike database quickly and easily within the Play 2.0 Framework from Java or Scala, and with no application code changes. Although Aerospike’s reliability and persistence allow it to be used as the core database for an application, its extremely low and predictable latency, combined with its ability to both read and write rapidly and expire data accurately, make it an excellent choice for both caching and session management. For more information, please see the documentation and blog post. Spring Data for Aerospike is an open source community project hosted under the Spring umbrella and sponsored by Aerospike. It provides a data layer to Aerospike that is familiar to Spring developers and works in harmony with the full Spring suite, including Spring Boot and Spring MVC. The Spring Data for Aerospike project provides integration with the Aerospike key-value database. Key functional areas of Spring Data for Aerospike include a POJO-centric model for interacting with an Aerospike Namespace and Set, and the ability to easily write a repository-style data access layer. Here are a couple of features we are looking to deliver in the first half of this year. This is just a preview and not a commitment! We are making great progress to provide manipulation of Sorted Maps on the server side, similar to the List features added in 3.7. The APIs were not quite baked enough to be an experimental feature in the 3.8 server release, but we hope to preview these shortly. We are making some changes to the metadata that is maintained for each record. As a result, one of the benefits is that we will be able to capture the last update time for each record, and expose that back through the client APIs. Since this is system-maintained, it reduces the work your application needs to do to record and maintain this information. 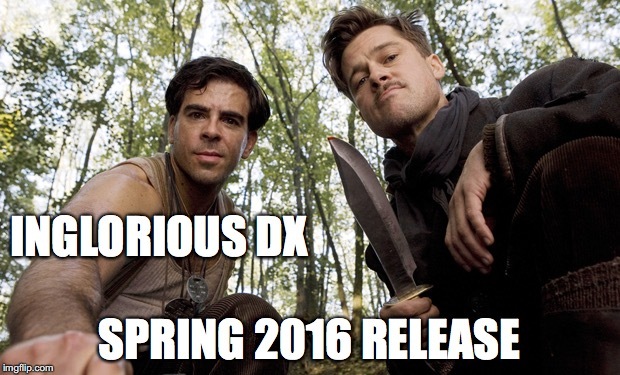 As always, we need your help and input to continue to improve and enhance your DX. Please contribute your feedback, ideas and questions to our user forum, file Github issues or create a pull request for the next great feature you’d like to contribute to the Aerospike user community!